People are often asking us: Is Boosterberg only for content publishers and digital marketing agencies? Although Boosterberg is really a great tool for these business types, it can be a very handy tool for a small entrepreneur who is trying to run his own Facebook page. Because of the declining organic reach, almost every business needs to boost new posts to get more reach and engagement anyway. Small businesses are often trying to run their Facebook advertising campaigns on their own, without the help of a marketing agency. Now, they can focus on their core business without losing precious time with logging to Facebook, studying the posts stats and boosting their Facebook posts manually, without breaking the bank on marketing service fees. One campaign which boosts their best posts automatically can do the trick. Small Business Owners Ask: Is Boosterberg for Us? For every business owner, there comes the need to create and publish the content on Facebook on one side, and the need for its promotion on the other. Both are time-consuming, need some specialised knowledge, and require a long-term commitment. 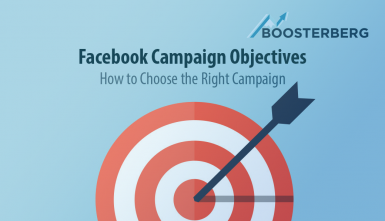 When a small business signs up for a Boosterberg account and sets the boosting campaign for its Facebook page, it starts saving time immediately. Also, because the business owners and general managers or administrators doing the Facebook page management are not usually experts in online analytics, they could underestimate the importance of considering the stats and selecting the best posts to be boosted. 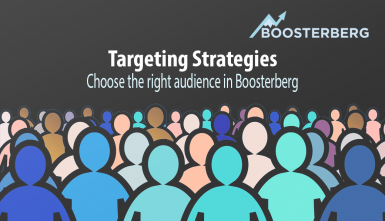 With Boosterberg campaign, they do not need to worry about it – only the best posts will be boosted and thus, the money is invested effectively. 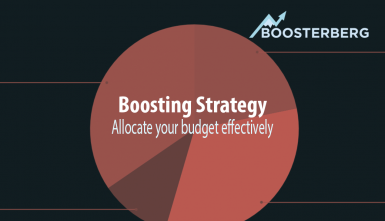 With the price of $39 for the Boosterberg starter package monthly, the marketing budget does not need any extra boost. Our small business customers report that they are saving up to 90% of their time spent with boosting the posts and their campaign efficiency has increased significantly. Measured through CPC (Cost Per Click), the positive change is typically 50% and more. Need more info on this topic? You can find multiple good information sources on Facebook marketing on the Internet. 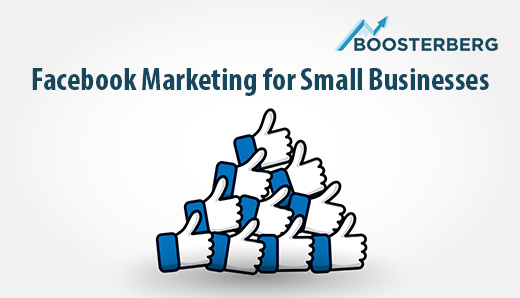 We recommend this curated list of Facebook Marketing Books. You can also read more about Facebook marketing in our other Facebook Marketing Academy articles.